As we know that most of the sportsmen are known for their game skills and how they perform on the ground and that’s all for them but then there are some alpha males who not only perform their best on the ground but also have been proved lucky to get looks that most other out there would feel jealous of. While their game skills were winning hearts and applauds over the grounds; their looks were making it sure that brand endorsements kept coming to them as there are definitely millions of people out there who idolize sportsmen more than anyone else. That’s the name tennis players and tennis fans would be aware of. The man is from Italian origin and is undoubtedly one of the hottest figures on ground these days. He is the number 2 Italian professional tennis player and right now is behind Andreas Seppi. This 28 year old player has won 3 ATP singles titles and also found a place in the quarterfinals of 2011 French Open. The lose temper of the player doesn’t make any decrease in his female fans who can’t be blamed after taking a look at this player. This 6 ft 4 inch man is a professional basketball player and is the member of the team of Los Angeles Clippers. Earlier in the college times; Redick used to play for Duke University and even today is the all time lead scorer for Duke. He is famous for his excellent three point and free throw shooting. Not only just the good looks; taking a good look at the awards that he has received till date will make you realize the skill of the person as a sportsman. Eric plays as the wide receiver in the New York Jets team of NFL. An early player; he also played football and college baseball at the University of Minnesota. The fame of the player can be easily estimated by the fact that he and his wife star in a show named ‘Eric and Jessie: Game On’ which has been running since 2013. This 29 year old French footballer plays for the national team and English club Arsenal as a striker. Olivier is famous for his shot power, heading ability, size, physical style of play and link up play. In 2014 FIFA world cup; he made it to the quarter finals along with his teams. While February 2014 was somehow unlucky for Olivier since he was reported to be cheating on his wife Jennifer with a model named Celia Kay; in February 2015, Olivier has been awarded “hottest premier league player”. Yoann is also an international footballer from France and he currently plays for the club of Rennes. Yoann has been awarded as French player of the year in the year 2009. He was actually inserted into the national football team of France as in the position of playmaker that has been waiting for its worthy occupant since Zidane said goodbye to the fields. Yoann is popular amongst fans for his wide shoulders, beautiful eyes and 6 ft 1 inch of height (other than his playing skills). Cricket fans will be surely aware of his name and performances in various matches. He has been a match winning player for the national cricket team of Pakistan and has been known for his aggressive batting styles where he acts as a butcher for balls thrown by bowlers. His bombastic batting style got him his name; Boom Boom Afridi. 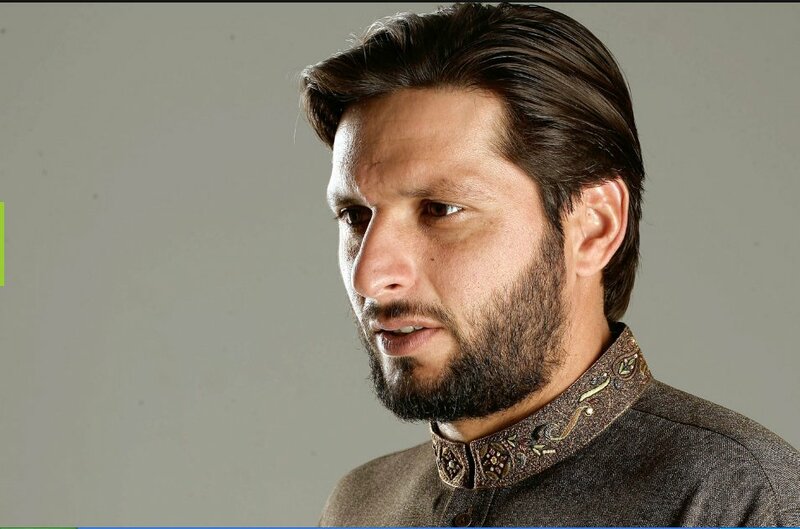 Currently Afridi is the captain of T20 team of Pakistan. He has bagged the Lux style award for most stylish sportsperson for year 2007 and 2011. He might be the youngest in the list but no questions can be asked about his appearances. The guy has been gifted with looks that can be just called as a work of art and though this American Pair skater is not 6 ft like other member of this list; he make up for the height with his looks that are often regarded as like a Disney prince. Nathan is 2 time national medalist for US and also represented America in the 2014 winter Olympics. 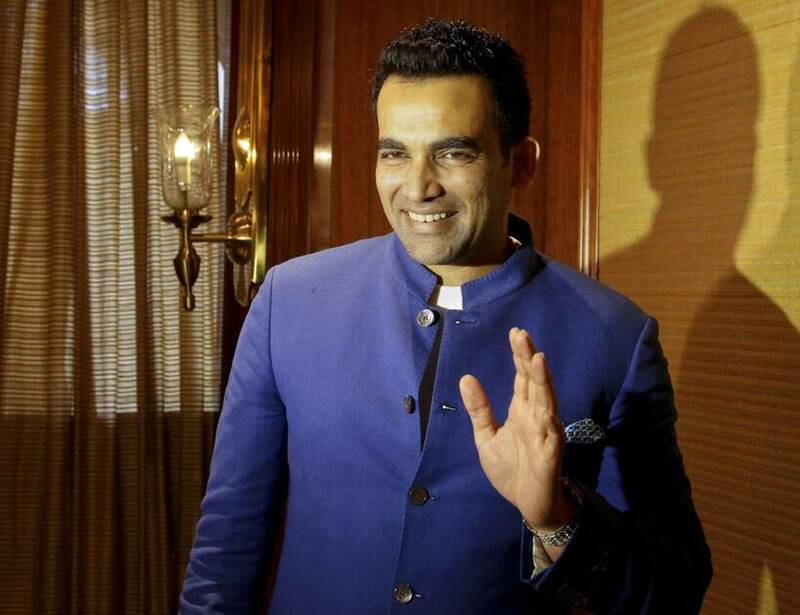 A country where cricket is followed like a religion; Zaheer khan became a household name just after he stepped in to play for Indian national cricket team. Tall (6ft 1inch), dark and handsome are some of the attributes of his personality. One of the most successful bowlers from India; Zaheer has been awarded with Arjun award in the year of 2011 and also has been selected as one of the Wisden Cricketer of the year in 2008. 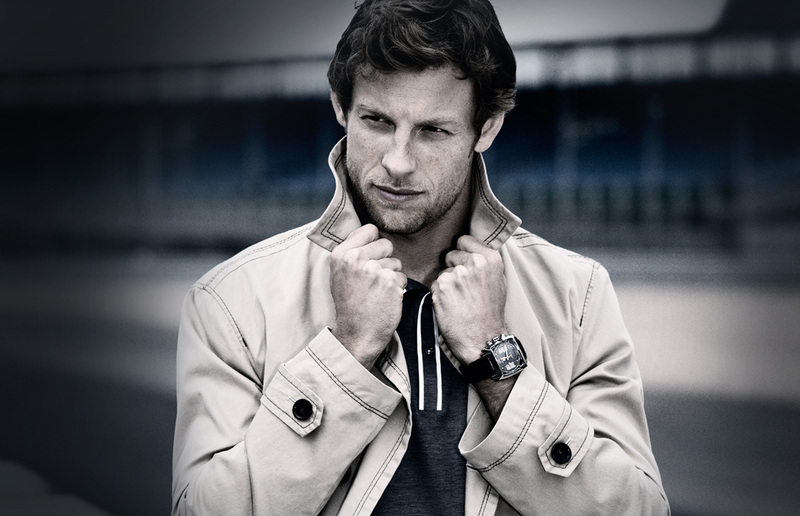 Button is a British Formula one driver who belongs from England and presently is driving for the McLaren. In 2009; while driving for Brawn GP; he has became the Formula one World Champion. Girls or guys; everyone loves a guy who is a master of speed and talking about sped; what is better than Formula One Racing. Jensen has appropriate height but with the sparkly eyes and a magnetic personality; he has been the heartthrob of his fans since he stepped in. Doesn’t matter if you follow football or not but if you have a habit of going through sports news or sports section of TV or newspaper even once a day; there are high chances you would be aware of his name. Ronaldo plays for the Portugal National football team and the club Real Madrid as a forward where he is also the captain of the former team. With his experimenting hairstyle and dressing style; he never stops making his fans go crazy over him and this can be guessed from the fact that he is the most followed person on Facebook. When Wasim used to play for Pakistan’s national cricket team; you knew that the girls in the stadium were there to see this handsome hunk playing on the grounds. Wasim; who was also known as the King of Swing was not only handsome but skilled to a great extent too as he was the first bowler ever to bowl for acquiring 500 wickets in ODIs. Even the model turned actor Humaima Malick was once reported to be heaving a relationship with Wasim who was double her age. Looks like this 6ft 1 inch bowler knew how to be fast outside the grounds too! This present Pakistani politician was once the most beloved and most handsome player to play on the grounds. He is a philanthropist, cricket commentator and also has been a former chancellor at the University of Bradford. While most of the Pakistani cricketers still recall his playing style as legendary and also refer to him as “the great Imran Khan”; this man outside the grounds was famous for his affairs which included famous women including Benajir Bhutto, Zeenat Aman etc. Even Wasim has confessed on many shows that he did things exactly as were done by Imran. The charm of an Oxford University pass out was a cherry at the top of Sundae for Imran. This 33 year old player was a fighter on and off the ground; his never say never attitude and aggressive batting styles made millions of people his fans. But what already gained him popularity were his looks; he is an Indian Casanova and ladies everywhere were swept off their feet when he stepped in. This 6ft 2 inch left handed batsman fought and survived cancer and was one of the main reasons that India won world cup in 2011 and was also chosen as a player of the tournament in the same world cup. 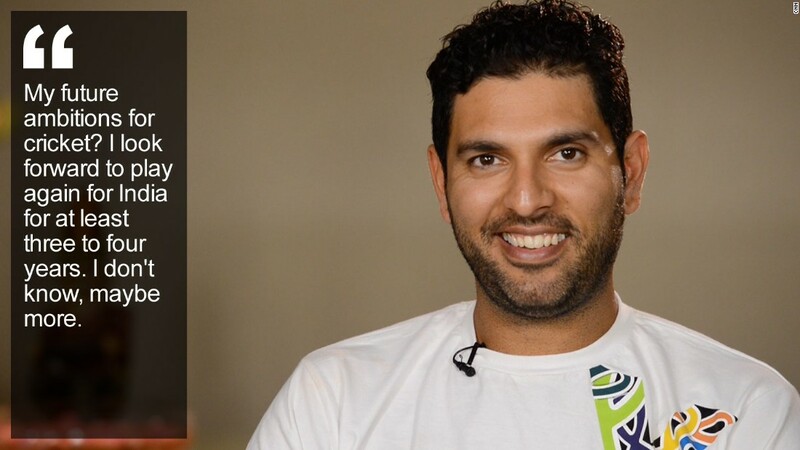 Great looks, fighter attitude and a famous cricketer; it would not be a mistake regarding Yuvi as the hero of millions of cricket crazed fans in India and all around the world. Switzerland is considered to be one of the most beautiful countries in the world and this super skilled player from the country is no exception when it comes to beauty. This 6ft 1inch 34 year old player has been in the list of Top 10 tennis player since 2002. He has often been regarded as the greatest tennis player of all times by many a commentators and other experts in his fraternity. Roger has won 7 single grand slams and is married to Mirka Federer since 2009. His long locks of hairs coming over his headband while playing add a charm to his already magnificent personality. David plays for the national team of Spain and also is the captain of New York City FC. He plays as a striker and is quite a found his way into the national football team of Spain in 2005 and since then is the key player of the team. Villa has often been regarded as one of the best forwards of his generation and also despite lacking in height; he is a quick and mobile player who not only scores but also creates a lot of chances for the team mates. However David broke the heart of his many female fans when he married his childhood sweetheart Patiricia Gonzalez in 2003. This 29 year old 6 ft player is currently ranked as the world no 7 tennis player. Nadal has been reining the clay courts in Tennis since quite long and many professionals even regard him as the greatest clay court tennis player of all time. Rafael has 14 Grand Slam single titles along with Olympic gold medal in singles in the year 2008. Tough and aggressive looks on the court and a hot as hell body bagged him sponsorship by many famous brands. Recently he has also been named as the global brand ambassador for Tommy Hilfiger. 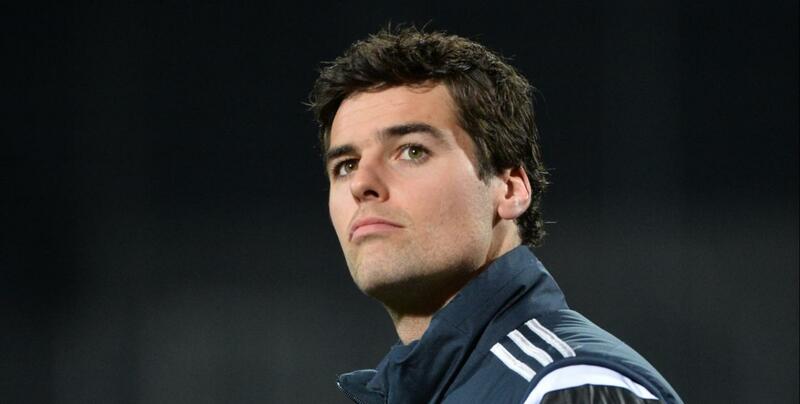 28 year old 6ft 1 inch former cricketer has an attractiveness that just can’t go unnoticed. Lee was the part of the Australian cricket team that won world cups consecutively in the year 2003 and 2007. He has been known as one of the fastest bowlers in the world and is lucky in terms of looks also; Brett has looks that are sharp and these looks have bagged him various commercials and breaks as an actor too. While in most of the TV series he has appeared as a guest as himself but UNindian Movie in 2015 brought the actor side of lee’s personality. Yeah at the 3rd position also there is a man from Spain. 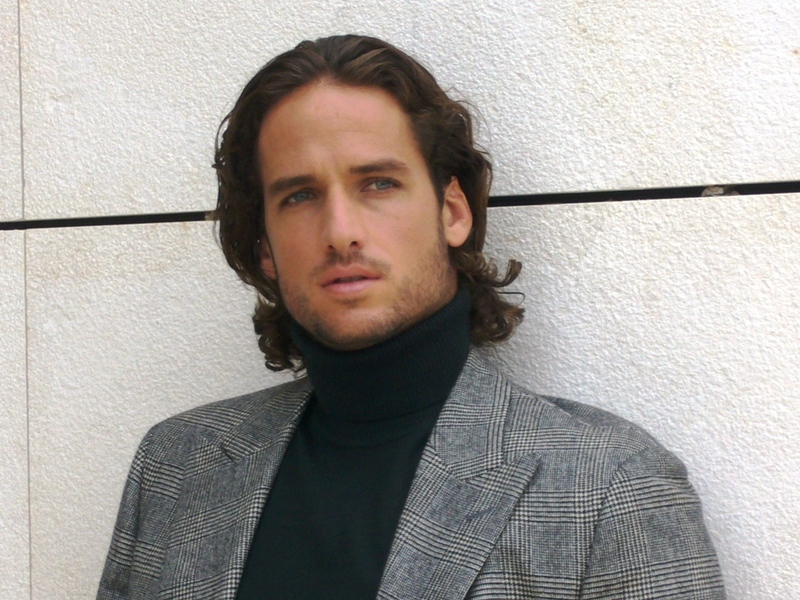 Feliciano’s body appears to be sculpted and that is the opinion of millions of his fans. 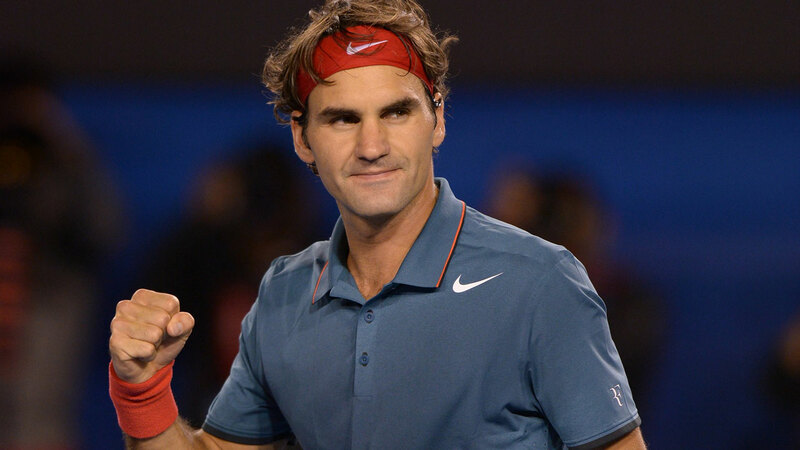 This 6ft 2 inch 34 year old tennis player is currently ranked as the 12th best in the world as of March 2015. No matter how much he has expressed his dislikes for being called a model; his endorsements with Elle, L’Oreal, Hugo Boss, and Braun Shavers tell a completely different story. This 33 year old 6ft 1 inch football player plays for the national football team of Brazil and club team of Orlando City as an attacking midfielder. Since 2002; Kaka has been the member of Brazil’s national football team and also was the member of the FIFA world cup winning team of the same year. Year 2004 showed Kaka as the youngest ambassador of UN world food program and it is due to the social welfare works like these that he has also been listed in the 100 most influential people in the year 2008 and 2009. His sharp looks and awesome performance even made him the first sportsmen ever to have 10 million followers on Twitter. If looks are to be talked about; it is impossible to leave Beckham out of the list. He of course is the uncrowned emperor when it comes to handsome sportsmen all over the world. David has been a member of National English football team, Real Madrid, Manchester United and many others. He has been married to Victoria Beckham since 1999 and even at the age of 40; this man has the looks that even the Greek Gods would be jealous of. 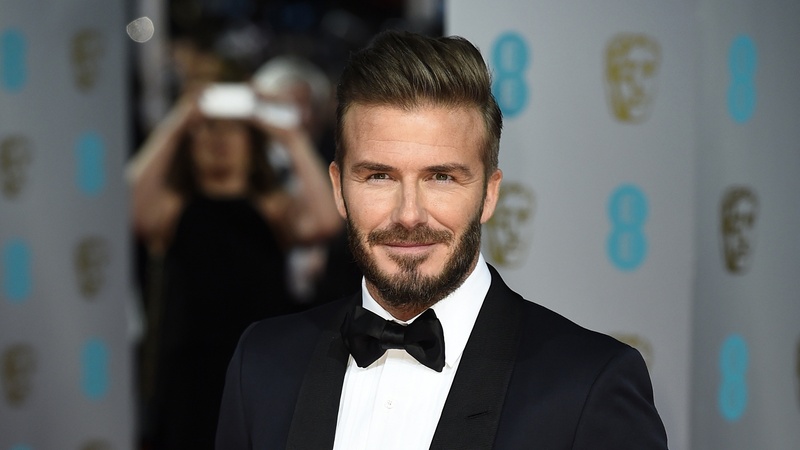 Often regarded as the ultimate metrosexual by many including the man who invented the term, Beckham has been a fashion icon and his fame extends beyond Football fans. He was most searched person in year 2003 and 2004 according to Google itself and has endorsed various brands including Adidas, Diet Coke, Pepsi, Armani, Breitling, H&M, Samsung and Burger King and many more. So these were the sportsmen that are handsome enough to make even film stars jealous of them. While they are gifted with good looks and skills at the game; the main thing that they must be praised for is that they make a perfect coordination in their games, their looks and various other activities they do. So these were some of the players who are known not only for their game styles and techniques but also for the looks that they have been granted. It is a world of smart generation and no one can blame sportsmen for putting an extra effort into their looks as far as their game is not affected. These were 10 most handsome sportsmen but the list just doesn’t ends here; wait for the second part and you will get to know about some more ‘treat for eyes’ players.